Sometimes technology doesn’t work the way you expect. 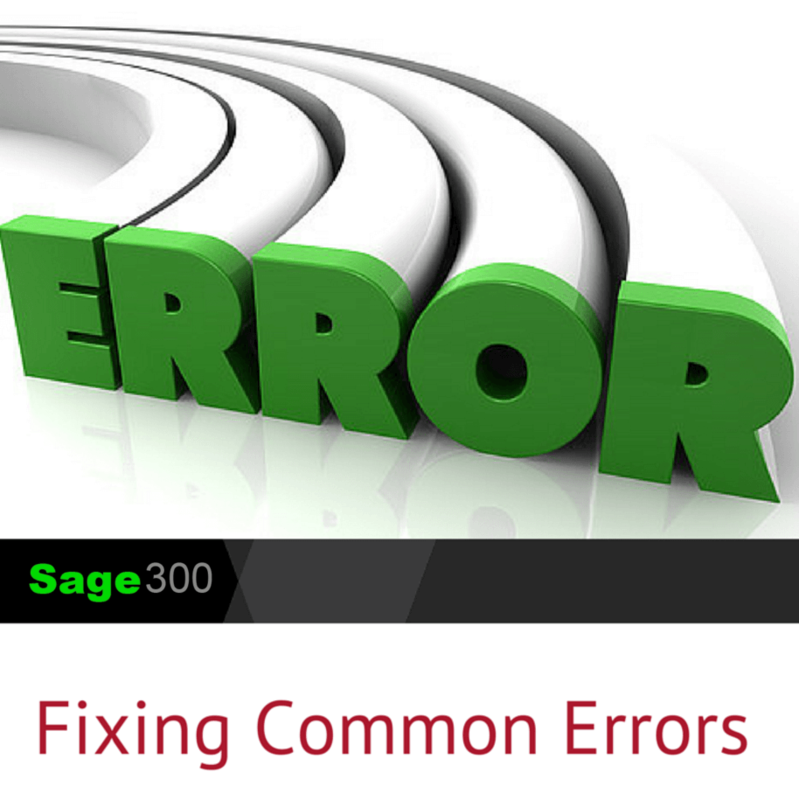 Here are some common errors that Sage 300 customers have reported, along with instructions to resolve them. These errors appear if the 'a4wContainerXP.exe' file located in the [Sage Programs]\Runtime directory is missing or corrupted. On December 1, 2016, Microsoft Windows Defender began falsely detecting the a4wContainerXP.exe file as "Trojan:Win23/Detplock". Before recovering the a4wContainerXP.exe file on PCs with MS Windows Defender installed, use Microsoft's instructions to exclude the [Sage Programs]\Runtime folder from scanning, then restart the PC for the exclusion to take effect. Check the MS Windows Defender, Quarantine for the file. If it's present, and the folder exclusion has been set, then restore the file. If the file is not in the Quarantine then copy the a4wContainerXP.exe from a working computer that has the same installation and version of Sage 300. If another copy of the file isn't available, then a full Repair of the Sage 300 installation should be run, followed by installation of the Product Update in use at the time of the error. "You do not have a license to use this product"
If you see this error when opening a company on a specific computer or with a specific Windows user, it's due to a Windows user account having insufficient rights to the Sage 300 Shared Data directory. 1. Check Sage 300 Shared Data directory path in the registry, (Go to Start, Run, type regedit). 2. Confirm this is the same location displayed in the registry from a workstation(s) that can open a company successfully. 3. Check the user permissions for the Sage 300 Shared Data directory. Windows user accounts must have full access to the folders and sub-folders (Sage recommends that Windows user accounts be part of the Power Users group). Note: The above steps have resolved a majority of these issues. In some cases there is a second registry key in the HKEY_CURRENT_USER\Software\ACCPAC INTERNATIONAL, INC. that is causing the error. Contact us if you have questions about these or other Sage 300 errors you need help with.